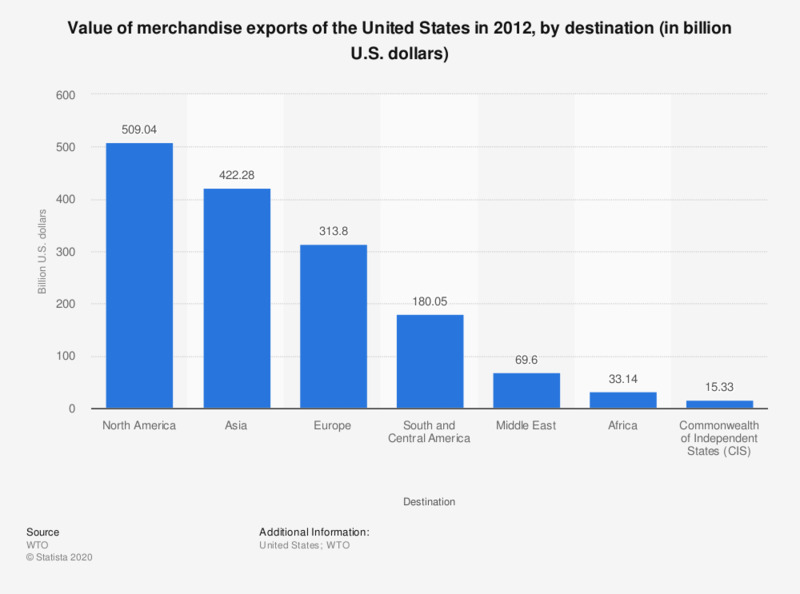 This graph shows the value of merchandise exports of the United States in 2012, by destination. The value of U.S. merchandise exports to North America amounted to about 509.04 billion U.S. dollars in 2012. The total global value of merchandise exports of the United States amounted to about 1.55 trillion U.S. dollars in 2012.